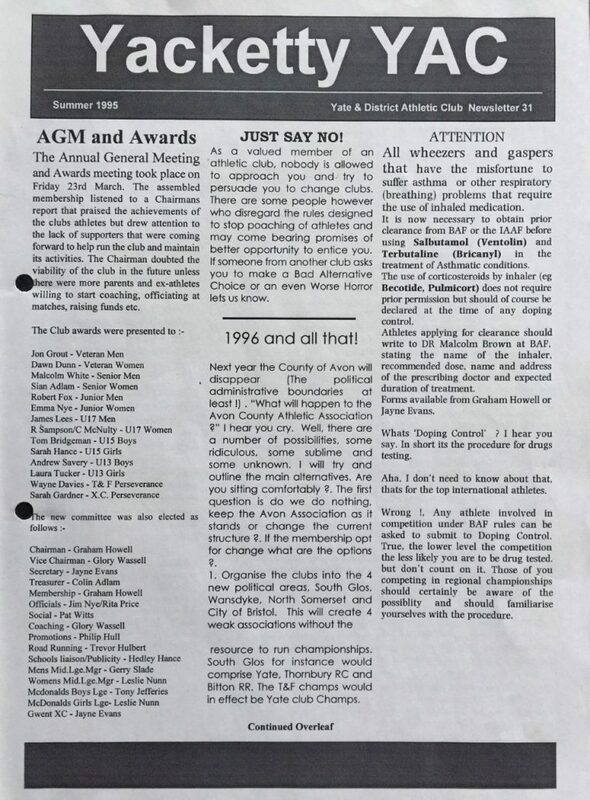 A plea for new committee potential to come to the AGM. Confirmation of dropping the National Juniors League and joining the National Young Athletes League for Girls. 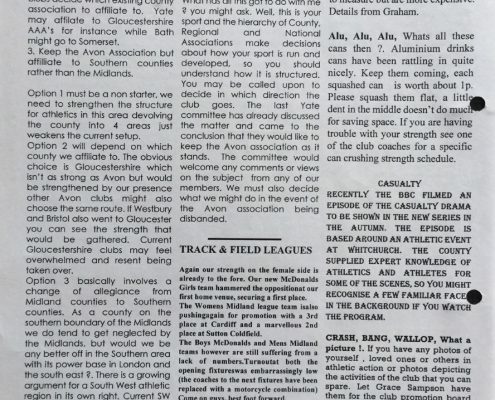 The Avon Track and Field League is revised to a maximum of 8 teams. 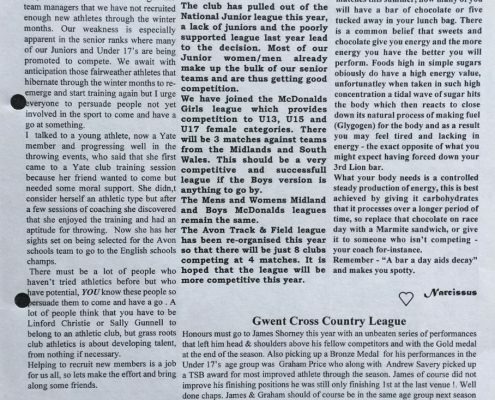 A review of the Gwent cross-country league results – Gold for James Shorney and Bronze for Graham Price. 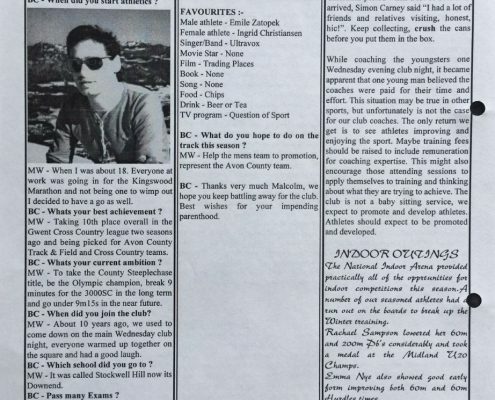 Athlete profile interview No 2 on Malcolm White. Good results from the NIA indoor meetings. Resume of the AGM held on 23rd March. 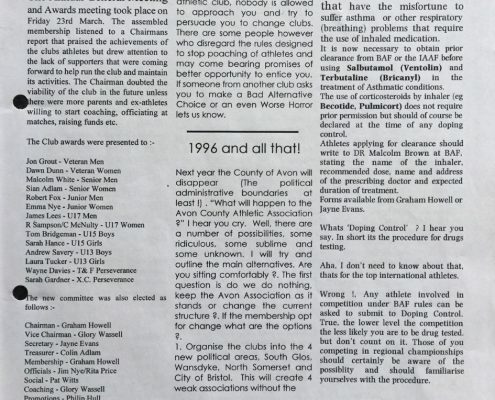 An article on the disbanding of the County of Avon due in 1996 and the possible ways that Avon Athletics Association could go. An article on inhalers and testing for drugs. 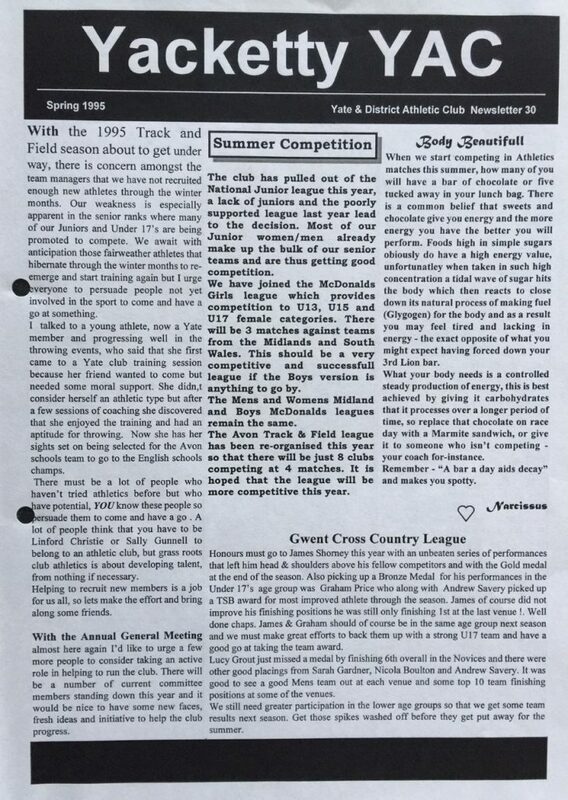 Results from the track and field season – Womens Midland team just hold their own, Mens Midland team are demoted to division 5, Boys National Young Athletes team are a bit thin and the Girls National Young Athletes team win the division in their 1st year of competition. A plea for more coaches. A quiz night is planned for 29th September at Old Sodbury Village Hall. News of a £50K grant from the Foundation for Sports and the Arts for improving facilities. Development at Broad Lane track noted from a newspaper article. Plans for new buildings, covered seating, changing rooms and a social area with support from the local authority. Work may start before April 1996. Main club training night to change from Wednesday to Thursday in the new year. 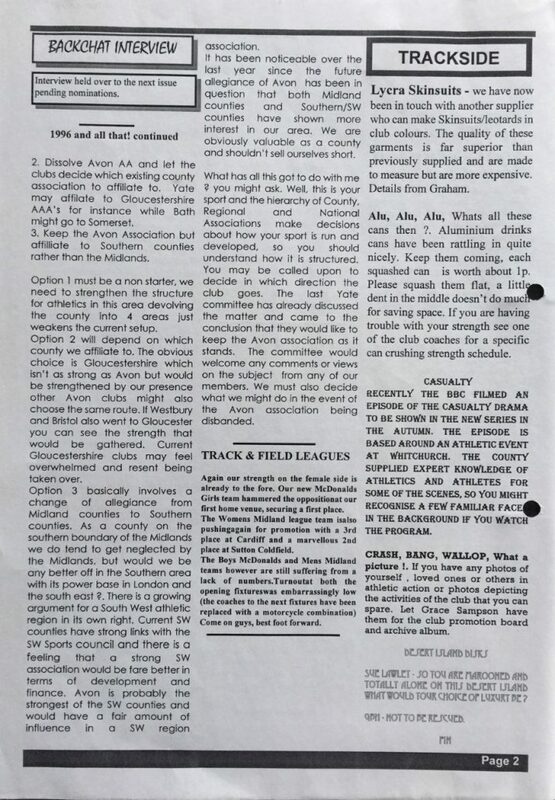 Dates for 1996 track and field league fixtures issued. 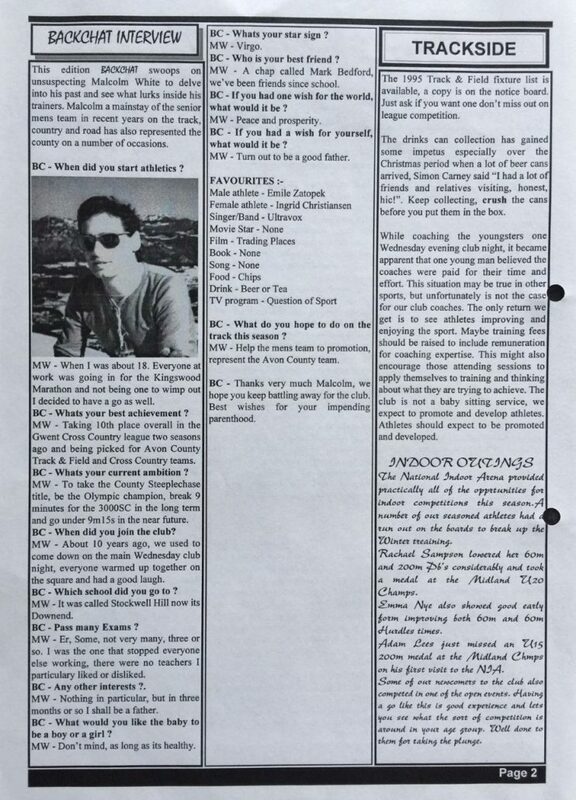 A report on the quiz night. Plans for a Club Dinner in the new year. Yate were the winners of the U17 Men, U13 Girls, U17 Women and Senior Women age groups.